Born in New York, Alex Greenbaum enjoys a diverse and adventurous musical life. As cellist of the Hausmann Quartet, he is an Artist-in-Residence at San Diego State University, where he teaches cello and chamber music. 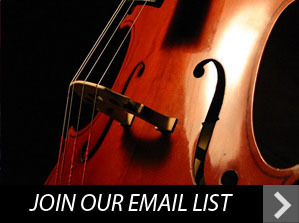 One of the principal cellists of The Knights, Alex has performed and recorded throughout the U.S. and Europe with luminaries such as Yo-Yo Ma, Dawn Upshaw, Vera Beths and Christina Courtin, appearing at the festivals of Caramoor, Dresden, Ojai, Ravinia and Tanglewood, as well as in the Canary Islands and Carnegie Hall with Osvaldo Golijov’s Pasión. An avid chamber musician and passionate advocate for new music, Alex has been a member of the Tarab Cello Ensemble and Hutchins East, performed often with the FLUX Quartet, appeared with Newband and at Music at the Anthology (MATA). Alex has performed as soloist with the Lehman Concert Artists, National Repertory Orchestra and Brandywine Chamber Orchestra. His varied interests have led to collaborations with Alvin Ailey American Dance Theater, Shen Wei Dance Arts, Malashock Dance and the Mark Morris Dance Group. In San Diego he is a mainstay on the Art of Élan chamber series, an affiliated artist with San Diego New Music, a member of the San Diego Baroque Soloists and Ensemble-in-Residence at Mainly Mozart with the Hausmann Quartet. 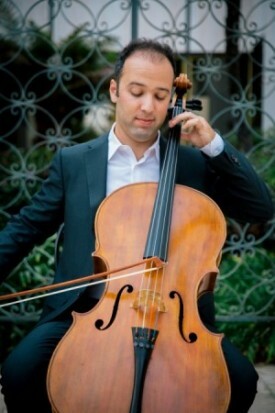 Also an active performer in Mexico, Alex was a member of the Orquesta Sinfonica Sinaloa de las Artes, based in the state of Sinaloa, and returned there to perform as soloist with the Tarab Cello Ensemble in the Feria de las Artes. A highlight of last season was a residency in Tijuana which included visits to a dozen schools, and he has performed and taught as part of the Northern Lights Music Festival in Ajijic, Jalisco since 2009. Alex has recorded for Ancalagon, Bridge, Cantaloupe, In a Circle, Koch, Naxos and Sony records, as well as music for film, television and commercials. He attended the Eastman School of Music, the Royal Northern College of Music, the University of Miami, Queens College and Juilliard Pre-College. His teachers have included Steven Doane, Marcy Rosen, Ross Harbaugh, Joseph Elworthy and Andre Emelianoff. Comfortable in a wide array of styles, Alex has studied baroque cello and early music at institutes and privately in the US, Canada and Amsterdam. Alex plays a cello crafted in 2006 by Michele Ashley and a baroque cello labeled Claude Vuillaume, 1788. He lives in North Park.